Mushrooms cut and fry in a small amount of vegetable oil, pepper and salt. Carrots on a grater grind, fry until cooked, add salt. Chicken fillet cook until tender in salted water with bay leaf and pepper. 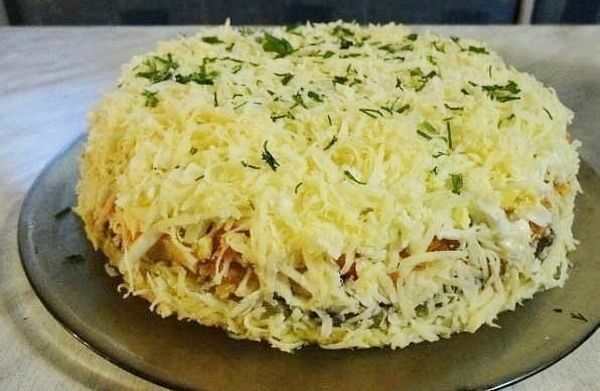 Cheese, eggs and potatoes rubbed on a grater, finely chop the onion and fry. 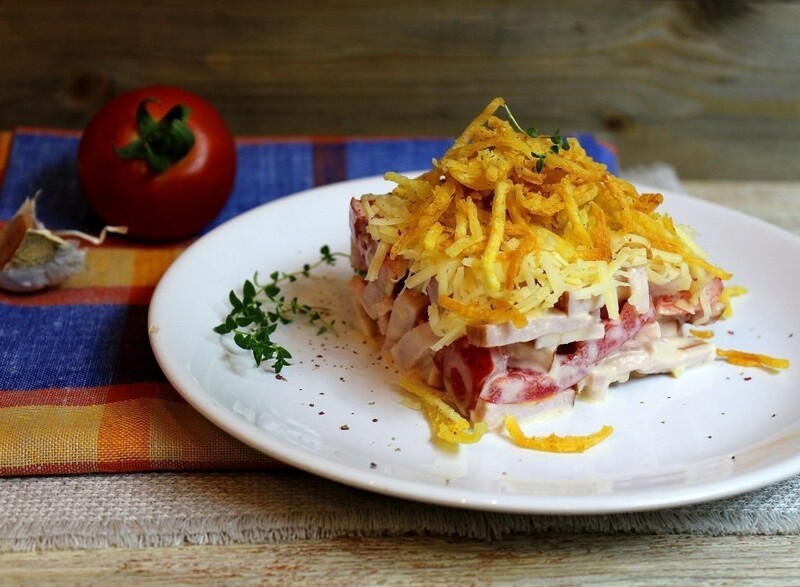 Salad laid layers of potatoes, then mushrooms, mayonnaise mesh, chicken pieces, onion, carrots, mayonnaise, eggs, cheese, mayonnaise grid. Before serving, decorate the salad greens and mushrooms, or if desired, chill and serve.